The best natural supplements for sports and tiredness. When we talk about sports supplements, or to compensate for vitamin deficiencies, we immediately think of energy bars, branched amino acids, mineral and vitamin supplements, powdered proteins, energy drinks, etc. Have you ever thought that natural alternatives exist to all this? Here I would like to talk to you about this today. Of valid natural alternatives, both for those who practice sport every day (or almost), and for people who may not practice sports, but who often feel tired and weak . I state that there are many plants and natural products that could help you in this regard. Among these I chose it that I know best and that I consider best . I hope the article is to your liking. Maca (scientific name Lepidium meyenii Walp), also known as Peruvian ginseng , is a plant that grows in the wilds of the Peruvian Andes , at altitudes of over 3,500 m.
In these inhospitable lands, characterized by strong temperature variations, Maca was able to develop a self-defense mechanism that allowed it to adapt, grow and develop even in extreme climatic conditions. 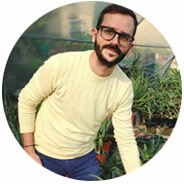 To survive in an environment of this type, Maca uses all the resources and nutrients present in the soil, which absorbs and stores wisely in its roots. The end result is a root, in appearance very similar to our turnips, but with a concentration of nutrients totally out of the ordinary. The main characteristic of Maca is to provide energy to the body: under stress and physical overwork, the maca interacts with the production of some hormones able to "adapt" the physical response to external conditions. Especially in case of stress, it modulates the production of cortisol and the consequent adrenal overload. 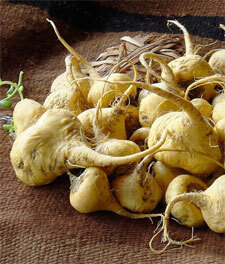 Maca root powder is the most popular natural supplement between bodybuilders and athletes. In this context it is assumed to increase the increase in muscle mass, to increase physical energy and strength.Furthermore, some studies ([ 1 ], [ 2 ], [ 3 ]) carried out on laboratory animals indicate that maca is able to improve resistance performance. In addition, a small study of eight cyclists found that they improved the time it took to complete a bike ride of nearly 25 miles (40 km) after 14 days of integration with maca extract [ 4 ]. The first to discover the aphrodisiac virtues of this root were the ancient Inca. They regarded maca as a gift from the gods and consumed it for its ability to enhance the spheres of sexuality and fertility. Virtues known at the popular level and given to history through the writings of the colonial friar Antonio Vásquez de Espinoza, who in a description of the year 1598 made mention of the consumption of this plant by the local populations, as "strong reconstitutive aphrodisiac, capable of increasing sexual desire and promote fertility ".Centuries later, in 1980, some North American scientists wanted to test the knowledge of the Incas, testing its use on a sample of people of both sexes who took root extracts for four months. The result? In men an increase in the volume of sperm, the number of sperm produced and their motility; in women, beneficial effects on the uterus, reductions in pre-menstrual syndrome, menstrual pain and regularization of the cycle. The natural decline of estrogen, which occurs during the menopause, can cause a number of unpleasant symptoms, such as hot flashes, vaginal dryness, mood swings, sleep problems and irritability. A review of four studies of menopausal women found that maca is able to relieve symptoms of menopause, including hot flashes and interrupted sleep [ 5 ]. Furthermore, animal studies suggest that maca can help protect bone health ([ 6 ], [ 7 ], [ 8 ]), which is very useful especially for women, whose risk of osteoporosis is greater with the arrival of menopause. 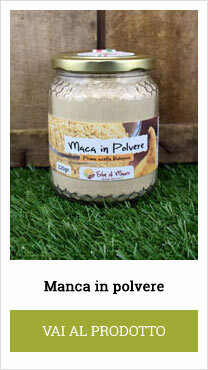 Maca powder can be added to smoothies, centrifuges and yogurt. Alternatively it can be simply mixed with water. Dosages : 1 to 3 teaspoons a day. Spirulina is a blue-green microalgae of the Cyanophiaceae family and mainly lives in the fresh and alkaline waters of the sub-tropical areas. The scientific name of this alga is Arthrospira platensis and has been renamed as "spirulina" because, seen under a microscope, it has a clear spiral shape. The first to benefit from its properties fortify the Aztecs, who mixed it with cereals to make cakes. Today, thanks to numerous studies, we know that spirulina is one of the most nutritious foods on the planet . Vitamin A, Group B Vitamins (B1, B2, B3, B6, B9), Vitamin C, Vitamin E, Vitamin K and Biotin (Vitamin H). The very high protein content (65 grams per 100g of food, compared to 20-25g of a lean meat cut) and the presence of all the essential amino acids, makes spirulina a formidable protein supplement, very useful for those who do sport and for those who follow a vegetarian or vegan diet. It should also be said that its particular cell wall, devoid of cellulose and of a mucoprotein type, gives it an excellent digestibility. It also contains all the B vitamins, essential for the proper development of muscle mass. The oxidative damage induced by physical exercise causes muscle fatigue, reducing the physical resistance of the athlete. From this point of view, foods rich in antioxidants, such as fruits and vegetables, can help sportsmen to minimize this damage and resist it for longer. And when it comes to foods rich in antioxidants one can not speak about spirulina, which can boast a very high concentration of vitamins and antioxidants such as phycocyanine and carotenoids. Some studies show precisely how the regular intake of spirulina has increased muscle resistance in the altars. For example, in these two studies ([ 9 ], [ 10 ]), it was shown that spirulina increased resistance, significantly increasing the time needed for athletes to suffer from physical fatigue. Anemia is a disorder often associated with tiredness, weakness and fatigue. 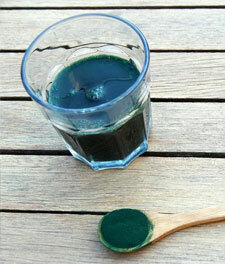 Thanks to the high concentration of chlorophyll iron, spirulina can be a valid aid against anemia. In a study of 40 elderly people with anemia problems, spirulina supplementation increased the red blood cell hemoglobin content. The immune function has also improved [ 12 ]. Spirulina is also very useful for those who are trying to lose weight. In fact, it has a triple action. First of all it works by increasing the metabolism, which makes it easier to consume the calories (which, on the contrary, would be stored in the form of fat deposits). If taken before meals, thanks to its richness of nutrients, exerts a satiating effect, which results in the consumption of less food. Finally it has hypoglycemic properties, that is, it reduces blood sugar. In fact, it has been shown that a blood sugar whose values ​​tend to rise (> 90) is one of the main causes of overweight and obesity. In this regard, there is an interesting study which lasted 2 months and conducted on 25 patients with type 2 diabetes, which demonstrates the hypoglycaemic effect of spirulina. Patients took 2 grams of spirulina every day resulting in a noticeable reduction in blood sugar levels. On the market, spirulina is found as dry powder, but due to its typical and unpleasant taste of seaweed, most people prefer to take it as tablets. The recommended doses range from 1 to 8 g per day , splitting the intake into 2-3 steps during the day. The maximum dose of 8 g is recommended for those who practice sport and physical activity. Pollen is a powder found on flowers and is the means of fertilization, through the intervention of insects and in particular bees. It also represents the nourishment of the brood in the hive, carried by the bee-picking bees, which, before passing from one flower to another, store it, humidify it and transport it inside the apiary. Here, once the right maturation is reached, it is consumed by the bees and larvae. 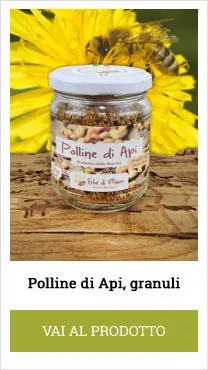 It is, in fact, a very rich food of nutrients, which is why beekeepers have invented a "trap" for bee pollen, which allows to intercept a part of it: so the precious insects do not lack nourishment and man the opportunity to enjoy its properties is given. Vitamins : a spoon is able to cover, for example, the vitamin needs of a person (except for vitamins F and B4). Protein : contains up to 35% of proteins and 21 of the 23 amino acids present in nature, of which all the essential amino acids. 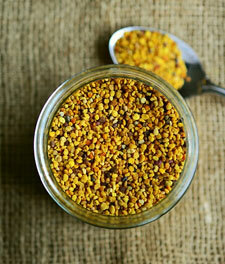 Basically in 100 g of pollen we find the protein quantity of half a kilo of beef, or 7 eggs. Mineral salts : is a food extremely rich in minerals including phosphorus, potassium, magnesium, calcium, silicon, manganese, copper, iron, sodium, chromium and zinc. Antioxidants : finally there are carotenoids, flavonoids, phytosterols, growth hormones and enzymes. Because of the incredible richness of nutrients, pollen is used by many athletes and sportsmen as a natural supplement of proteins, vitamins and minerals. It is also a very valuable aid for the elderly, for children in growth, for those suffering from anemia and for all those people who feel tired because of stress, work, or simply for the change of season. in case of prostatitic hypertrophy. From 1 to 4 teaspoons a day , to be taken preferably on an empty stomach. It can be dissolved in lukewarm (not boiling) water, or it can be taken with honey. 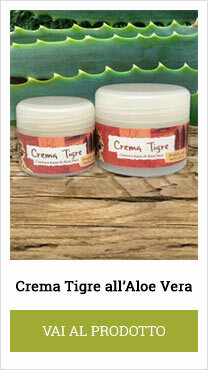 Yes I know, tiger balm is a cream, it is not a supplement. However, it seemed right to talk about it, because, thanks to the combined action of the camphor and the herbs that compose it, the tiger balm is able to warm up the muscles reducing the risk of running into tears and strains during training . In addition, applied after training, tiger balm reduces muscle fatigue and relieves bone, muscle and joint pain . The tiger balm should be applied before and after training. Spread the cream on the muscles you intend to train and rub until completely absorbed.